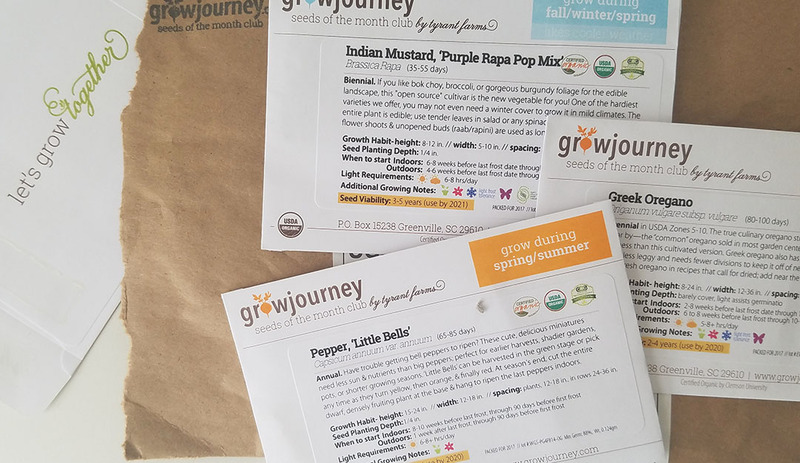 Waiting for me when I stepped through the winter-dark Brooklyn doorway recently, fresh from the South African sunshine, was a packet of Grow Journey seeds. It has been a year since I received my first seeds from them, and I have come a long way in terms of how I garden. While the 'Little Bells' heirloom peppers in the December package seem like a dream in late January, their backstory on my Grow Journey dashboard when I log on, is cheering. I don't think of my garden as pepper country because it receives full sun only in the midsummer days, but, says their story, these "cute, delicious miniatures need less sun and nutrients than bigger peppers do to develop their sugars...and if you have an exceptionally short season, cut the entire dwarf, densely fruiting plant at the base & hang to ripen the last peppers indoors." Huh! 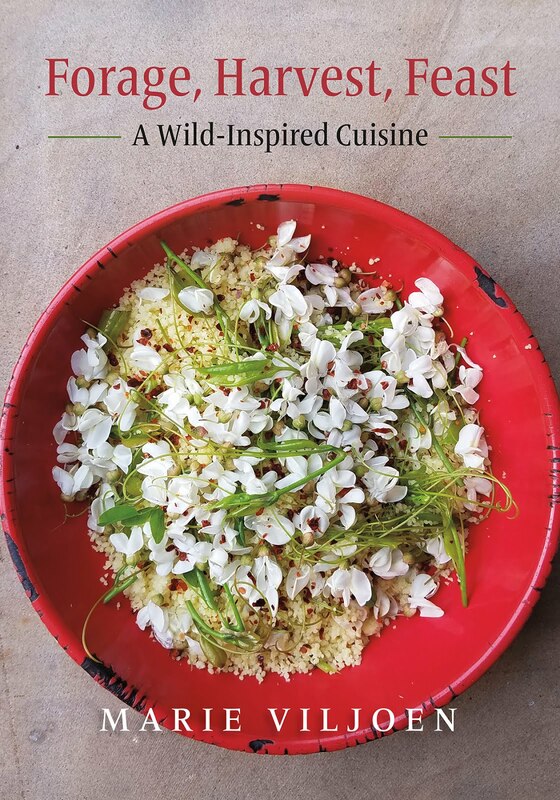 Grow Journey co-founder Aaron von Frank got in touch with me at a time when I was very despondent about my edible gardening prospects in our new garden. 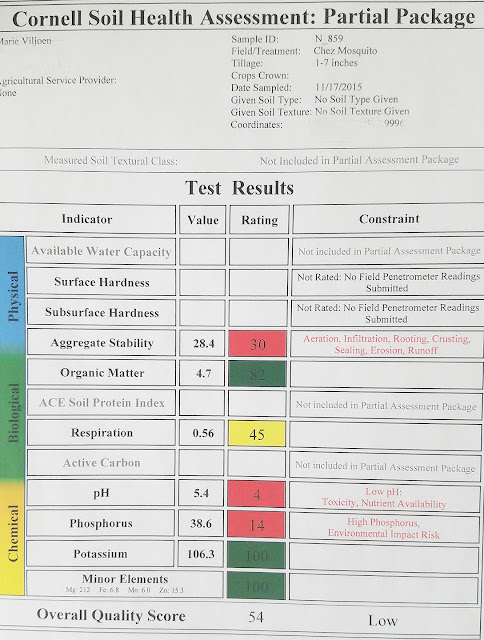 To recap: I discovered, via a late 2015 soil test (above) that our soil had high lead levels and a low pH. It took a few hours of bug-eyed reading for me to appreciate the significance of that relationship. I learned that if I raised the pH of the soil, the lead would not be available for absorption by plants. I also learned that - with exceptions - little lead is absorbed, anyway; the real issue is lead dust sticking to leaves, or hands and feet, then being ingested. But I was still verskrik, as we say in Afrikaans, and preferred to be as safe as possible. Mission Raise pH was launched in late December of that year. And my first Grow Journey seeds arrived in the mail. While the Cornell lab that tested the soil provided instructive guidelines for correcting problems, I learned specifically about egg and oyster shells for sweetening soil (raising pH) from Steve Masley's website Grow it Organically (garden lime was no good because it also contains magnesium and my levels were borderline high). He was generous with his time in emails (his Instagram is @growitorganically). 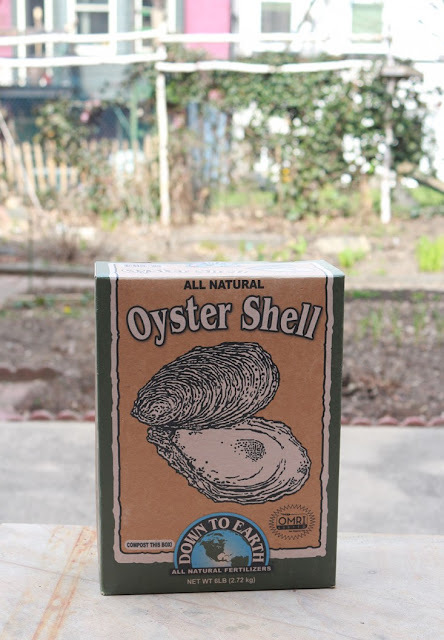 From late December 2015 through early summer 2016 I applied 12 lbs of powdered oyster shells (Peaceful Valley Farm and Garden Supply, in California) in two 6 lb batches, and about 3 lbs of egg shells, digging the powder in about 5" deep. And I planted seeds. There were other issues with the soil in this central plot (I did not test or amend the soil on the garden's edges at all): our Phosphorus was too high, the Aggregate Stability was very low. 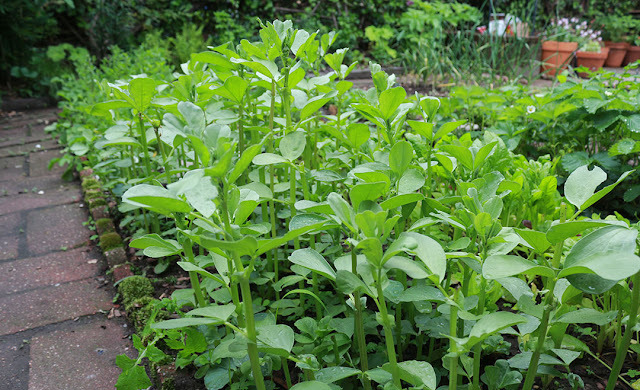 So I planted cover crops and green manure (plants dug back into the soil), mulched with crop thinnings and leaves, and did not fertilize at all. What I think of as Grow Journey's onboard flight navigation system (for the garden pilot) taught me many of these healthy growing and management techniques. As a member of Grow Journey's seeds of the month club, you are not just paying for monthly seeds; you have digital access to all the wealth of information that accompanies your physical seed packets. Well researched and referenced techniques for improving your soil organically and using concepts such as polyculture plant guilds are Grow Journey mainstays. And, as my dad would say (if he could remember), results count. 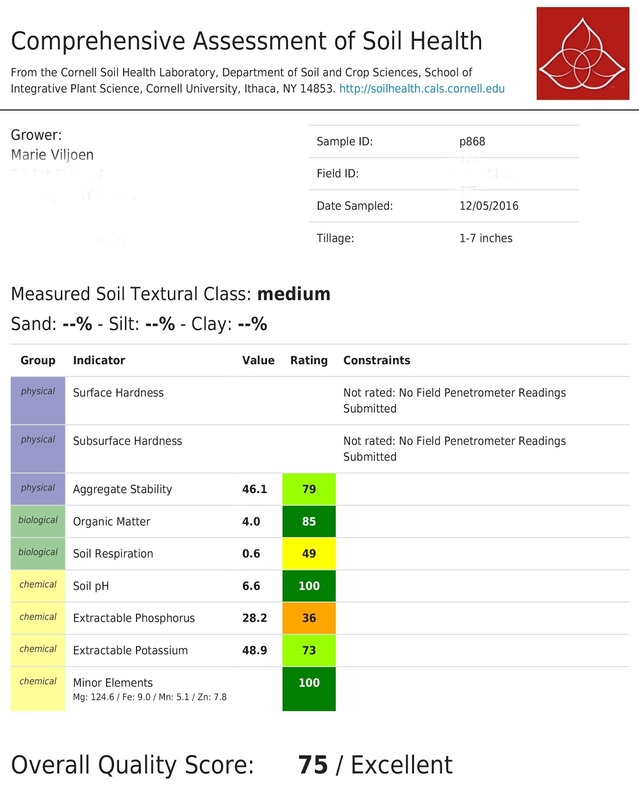 Recently my second soil test results were sent to me by Cornell. The pH has risen from 5.4 to 6.6. From acidic to optimum, and near-neutral. This is pretty dramatic. 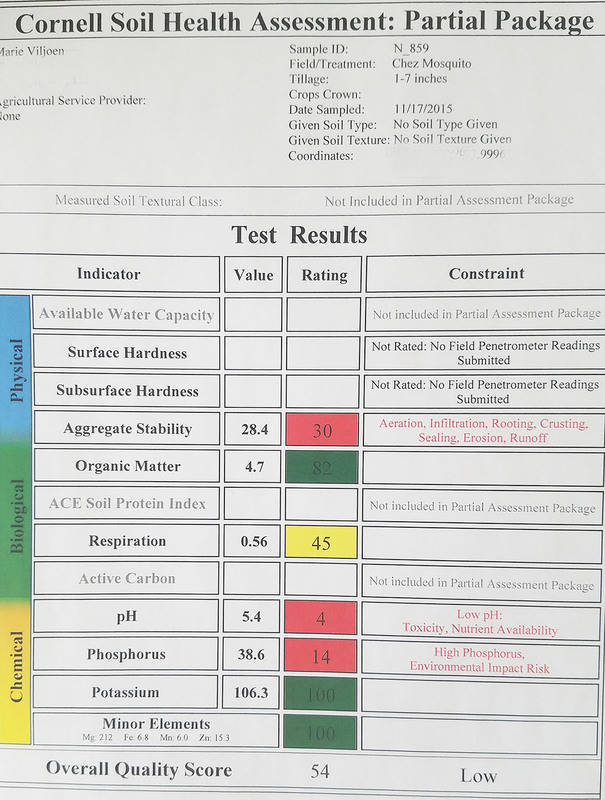 My overall soil quality score went from 54 and Low to a score of 75 and Excellent. It seemed like the best news of the year. And I felt like I'd aced my exams after a dodgy start. But this garden turnaround was not my own - I had help, from people who see the bigger environmental picture, and who use time-tested, science-supported methods. And that is my lesson for 2017. If we are going to survive under a crazed president, or in any of our personal troubles to come, we all need the right kind of help. Choose your community wisely, accept help, and be there for them when they need you. 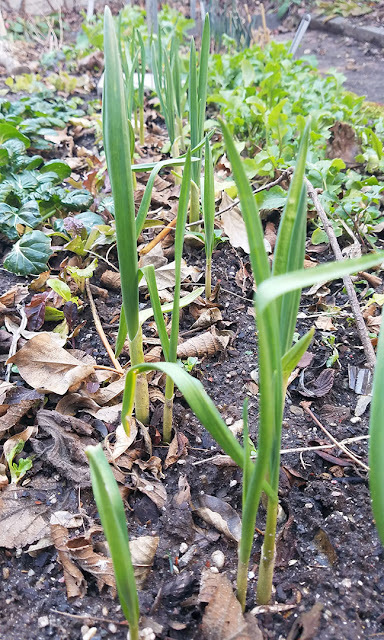 This winter has been disconcertingly mild, so far, and some of the crops in the vegetable plot are still green and growing. It is a temptation to sow cold hardy seed, like the pretty purple Indian mustard that was also in my December package. But things will change. You can access Grow Journey's behind-the-scenes support and info with a free 30-day trial (you pay a $3.99 shipping and handling fee). I recommend it highly. That's a good soil report! If I lived in America I'd be a Grow Journey person. Well done, Marie! A very good lesson for all of us, gardeners or not. 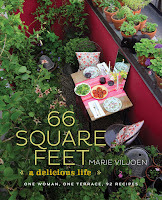 I fear that even Grow Journey could not show me how to raise food products in a garden that, thanks to uphill neighbors' unpruned bushes/trees, has become too shady to sustain the growth of any vegetable, fruit or berry. When we move to a sunnier place, we will enroll! P.S. Welcome back! Of course, deep shade is another thing. But the leafy greens stand the best chance. Welcome back! I hope you enjoyed you're time in South Africa. I've looked at Grow Journey several times, but it is just to pricey for me. Still I have Seattle Tilth and Territorial Seeds to help me out. Our times may seem dark, but gardening always brings renewal. Yes our times do seem dark and likely darker to come. But gardening does bring renewal and hope. As do listening to Mozart & Vivaldi, deepening community in many ways and following our wonderful Marie. How does one say Welcome Back in Afrikaans? Thanks for sharing your lead remediation experience! 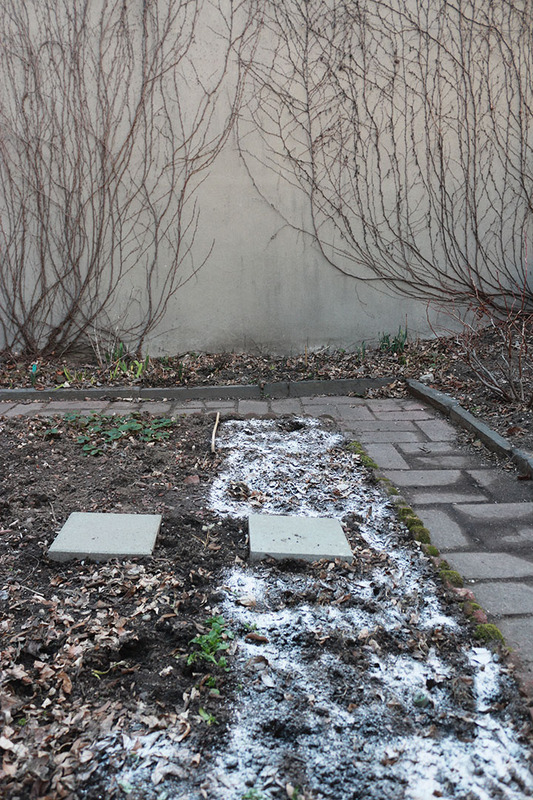 We've mostly gone the raised bed route, but this is useful information to have.